Theater J is starting its season on a sour note. The play "Imagining Madoff" was supposed to make its world premiere in the theater's first production of the upcoming season, but instead it's floating in theatrical limbo after the play was pulled. But why? 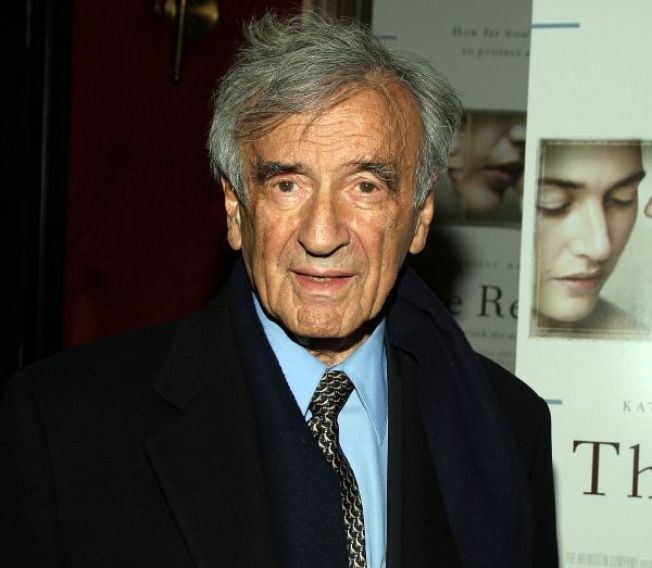 According to the Washington Post, human rights activist, author and Holocaust survivor Elie Wiesel objected, calling the play "obscene" and "defamatory." In the play, which is fictional, convicted Ponzi mastermind Bernard Madoff in his prison cell recalls a long-ago, all-night discussion with Wiesel in Wiesel's study. No such meeting or conversation ever took place. Deb Margolin, who wrote the play, told the Post that her intentions were purely metaphorical, but that Wiesel wrote her a letter and said he would have his lawyer stop the production. She said she used Wiesel's persona in the play because "his name is synonymous with decency, morality, the struggle for human dignity and kindness, and in contrast to the most notorious financial criminal in the past 200 years." But that apparently didn't appease Wiesel, whose Elie Wiesel Foundation for Humanity lost $15.2 million it had invested with Madoff. Wiesel also personally lost several million dollars to Madoff, according to the New York Times. Wiesel's dignity and kindness don't extend to Madoff, whom he called a "sociopath," "psychopath," "thief," "scoundrel" and "criminal" in an interview with the Times early last year. Theater J Artistic Director Ari Roth told the Post that the Wiesel Foundation was uncomfortable with having Wiesel's name used in the play, but early on, Wiesel had not objected. Roth said it wasn't until Wiesel read the play and realized it was indeed a work of fiction that Wiesel did not consent to it, according to the Post. "Imagining Madoff" was supposed to run from Aug. 28 to October 3. Now Theater J's season opener is "Something You Did" by Willy Holtzman. The play was first done in New York in 2008. It's about a 1960s radical in prison for an act of violent protest that caused the death of a policeman.